How can I share my screen captures? The best way to use Marker.io is in combination with our supported integrations such as Trello, GitHub, JIRA, Slack and more. 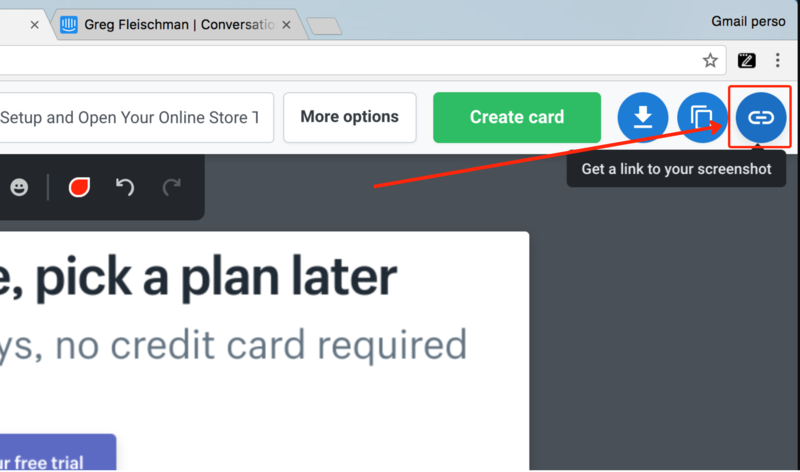 If you want to quickly share a screenshot via a sharable URL, simply click the Get a link to your screenshot button. 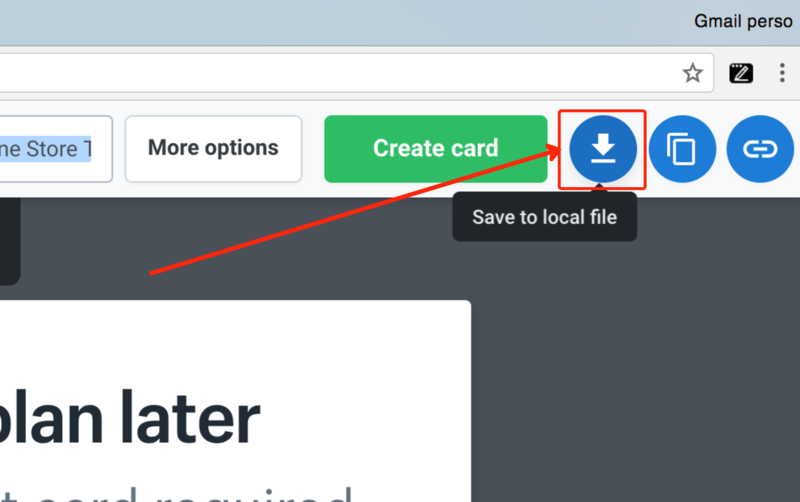 This will immediately close the editor and copy the newly URL to your clipboard. 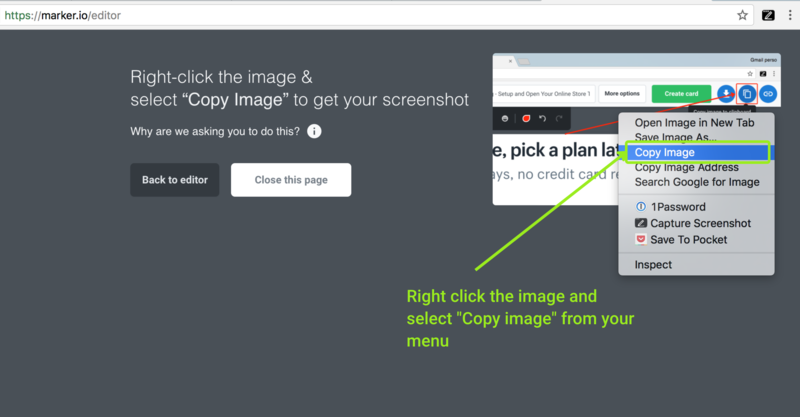 You can now paste this link anywhere where you can copy text. 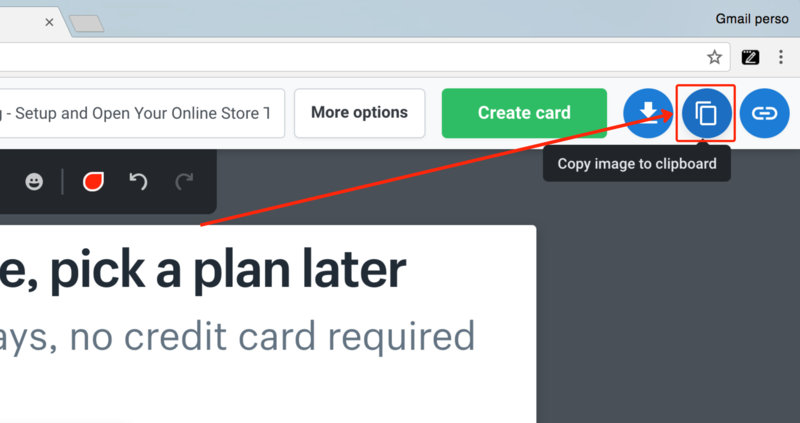 When you're done editing a screenshot, you can easily copy it to your clipboard. It's especially useful when you need to embed your screenshot in an email or a customer support ticket. Just click the copy image to clipboard button in your editor.